This was our 3rd Thanksgiving outside the USA. It’s not as strange celebrating it here, because we have many American colleagues who celebrate too. In France it was very strange because it was just another day in school followed by homework. This year we hosted Thanksgiving. We had some wonderful goodies sent to us at the beginning of the year, so we could have them for our holidays. Canned pumpkin and pumpkin pie spice so I could make pumpkin pie, French’s fried onions so I could make green bean casserole (I still needed to make my own cream of mushroom soup for it), pecans so I could make pecan pie and jellied cranberry sauce (that we haven’t opened yet). No turkey, but chicken galore. I cooked up 10 kilos (more than 20 pounds of chicken quarters), made homemade stuffing, pumpkin pies, pecan pie and green bean casserole. We had a great time together and shared our thanksgiving from the year and the boys put on a little skit. 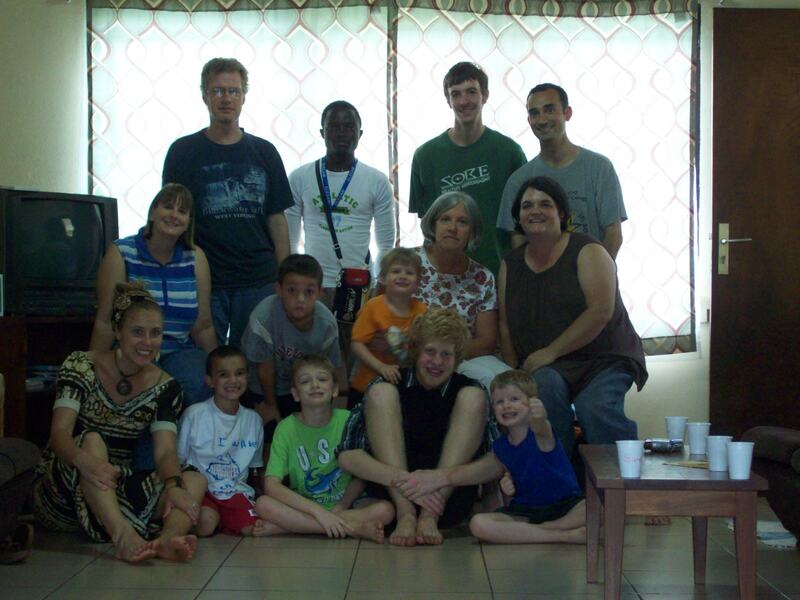 This entry was posted in Cameroon, home and tagged Cameroon, Thanksgiving. Bookmark the permalink. So glad you had a happy Thanksgiving. May God give you many more things for which to give thanks, even as we give thanks for you every day. Sounds like a great Thanksgiving. Its hard to go wrong with French’s Fried Onions! Thanks for the great update.